This has been tested and triple blind studies have confirmed it. And independent observers have observed it. home made turkey jerky!!!!! SEE? 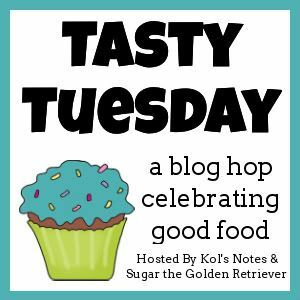 Tasty Tuesday- reinventing the wheel part1. Yuh, momma is cute. BUT she is clever. She is seriously clever.... When daddy brought home 2 whole turkey breasts, momma thought about it for a sec. Freeze one? Nahhh. Tasty Tuesday - Reinventing the wheel, part 2. So, she prepped all the turkey and then moved the rack to the oven at set it at 200 degrees on convection, because she is always in a hurry.... Two hours laters, we had this: . Because you can do just about anything on granite and not hurt it. I make sense. You don't! What is that???? Turkey jerky. Can I have that?? Yes? SCORE!!!!!! it is my breakfast? Delish! Can you put feets on it? Feet. No? Drat. Of course I played the heck out of the game then!. The momma felt than now she could downgrade the treats. As if. She slipped in some turkey jerky. I ignored it... but dumb butts JD and Wendy went at it like crazy dogs. OY. GO MAKE SOME FOR YOUR DOG!!! Great way to recap those recipe posts! Mama makes me chicken jerky all the time but she never thought to post the recipe until a reader emailed her cos she couldnt find it. I think you got turkey jerky covered! My friend makes her own beef jerky for the dogs. She buys meat in bulk and when it is on sale. She does not preserve the meat in any way but says it will stay fresh for well over a month if refrigerated (until the day of use).